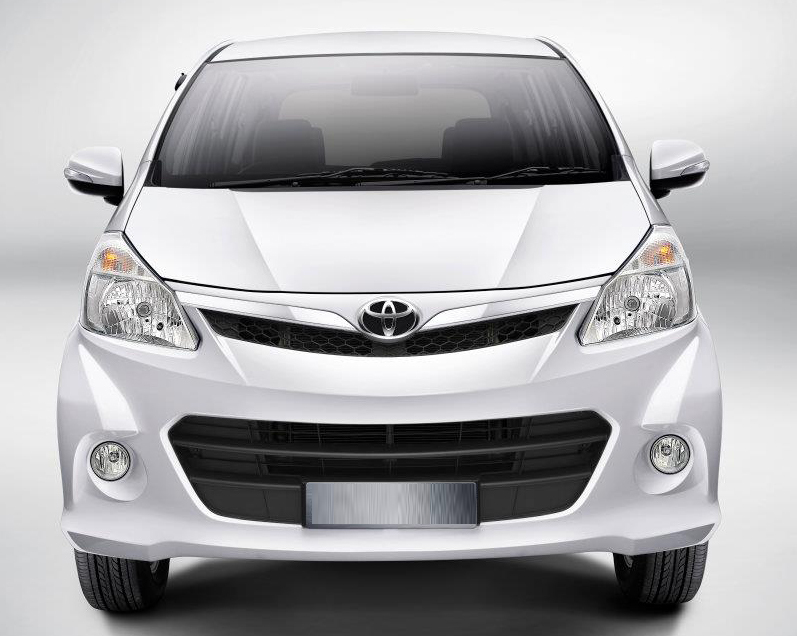 The Toyota Avanza, which has been ruling in the streets of Thailand, is now finally being made available for the Indian auto consumers. The car boasts of the same 1495cc engine that has been seen in the car in Thailand. It has been provided with a 1.5L, 4 cylinders, 16 valves, DOHC petrol engine that comes with the latest VVTi technology. The car is capable of generating a maximum power of 109PS at 6,000rpm whereas the peak torque that it generates is 141Nm at 4,400rpm. The car can hold a maximum of 45L in its fuel tank. The engine of the car has been mated with five-speed manual transmitting gearbox. It has been equipped with disk brakes at its front and drum brakes at its rear. It has been provided with a turning radius of 4.7m. As far as the suspensions of this car are concerned, its front has been provided with strut from McPherson having stabilizer where as the rear end receives Coil springs having four links. It is expected that 185/65 R15 tires are going to be used on its 5J alloy wheels of 15-inch. This is going to contribute towards helping the car achieve better mileage figures. The Toyota Avanza has been provided with splendid exteriors that can match up to the high standards set by the Toyota Innova. Its exterior has been provided with a stylish and appearance due to its well designed front grille as well as bumpers in body color. Manually operated side mirrors that the car has been provided are also in body color. The lighting system at the front is comprised of multi reflecting headlamps; brighter fog lamps in round shape and turn indicators. Body color has been provided to its side door handle as well. A wider and spoiler has been attached at the rear of the car. Standard lights have been used for the tail lamps that have been vertically stacked. The rear of the car gets a clean and neat look thanks to the slim bumper at the rear. Step inside the Avanza and you will find that its interior has also been crafted with equal finesse as its exterior. The dashboard is going to be provided with both digital and analog digital panels that have been placed exactly at its center. Adequate space has been provided in the dashboard to store important documents, Compact Discs along with other smaller things. It has also been equipped with a latest audio system ideally supported by four speakers. A sporty design has been provided to its front seat, which also provides additional support to the passenger with an arm rest. Most features pertaining to safety has been addressed by the car maker with all its seats being provided with ELR 3 point seat belts along with SRS air bag for both the driver as well as the front passenger. The body has also been technically well designed to offer protection during crashes and ABS and EBD adding up to the safety features list. The car maker from Japan has not revealed any information on the models of the Toyota Avanza that it is going to make available in the Indian market. As soon as Indian Drives gets hold of the details pertaining to the same, it is going you with the updates. The Toyota Avanza is going to be positioned a little below the Innova in the Indian market. The engineers of the Japanese car maker needs to be appreciated for the efforts that they have put in designing this compact SUV but at the same time managing to provide it with more power and enhanced fuel efficiency. As has been mentioned before, the Avanza gets its power from a 1.5L, 4 cylinders, 16 valves, DOHC petrol engine that comes with the latest VVTi technology. The car is expected to achieve a mileage of 11.2kmpl in city traffic where as the same is going to peak to 15.8kmpl on the highways. The famed VVTi technology that has been installed in the car by the maker has enable it to be highly fuel efficient but at the same time have lesser carbon emissions. The engine provided to the Toyota Avanza has been blessed with the capacity of generating a maximum power of 109PS at 6000rpm. At the same time, the vehicle can also achieve an impressive peak torque of 141Nm at 4400rpm. The capacity of the engine of the Avanza has been kept at 1495cc, the figure itself is sufficient to fuel your imagination on the power that it is capable to generate. All this is achieved despite the fact that the car is dimensionally much smaller than the Toyota Innova. 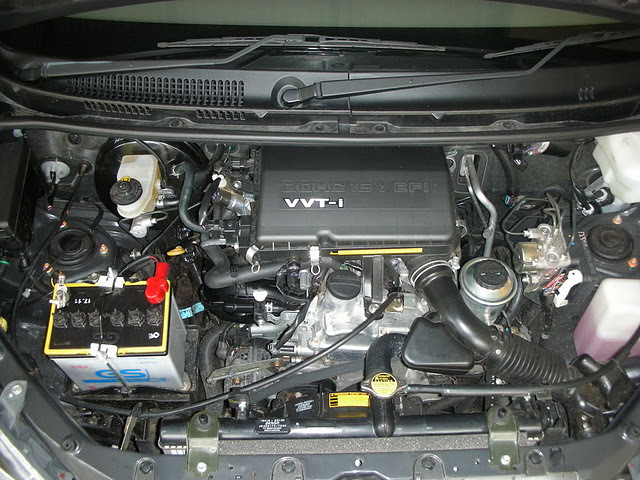 As mentioned before, the use of VVTi Technology in the car has ensured that additional power and torque can be generated. This technology optimizes the use of fuel in the vehicle. Also, it maximizes the usage of air in the car thereby directly contributing towards increasing the figures of torque and power. Thus, the benefits of usage of VVTi technology in this car can be best summarized by the three main criteria of offering higher performance, improved fuel economy along with lesser emissions. In the Thailand market, six color variants of the Avanza are being sold. It is being expected that the Indian market variant of the car is going to be offered in exactly the same colors. However, there has been no official confirmation of the same and we are going to update this information as soon as we receive any news regarding the same. The Indian market variant of the Toyota Avanza has been provided with a very sporty looking exterior thanks to its beautiful flow lines and sharp curves. A look at the front of the car will reveal its upper grille finished with chrome as well as the cluster of headlights that considerably enhance its sporty image. The cluster of headlamps also includes within itself the turn indicators of the car. The car maker has given an exclusive design to its car bumper and each side of the bumper has been provided with powerful round shaped fog lights. 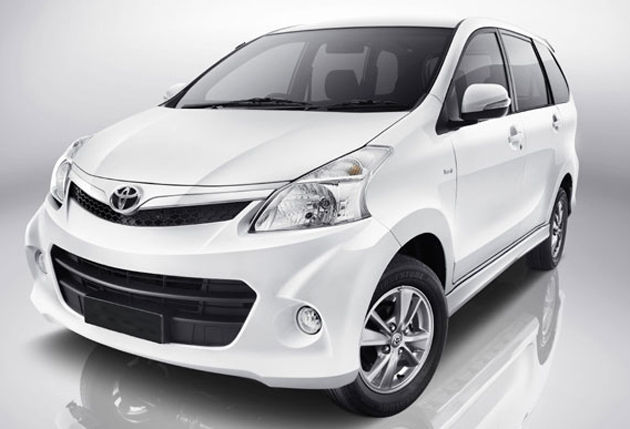 To enhance the sporty image of the Toyota Avanza, the Japanese car maker has placed its side skirts at a lower level. Both the wipers, at the front as well as the rear, have been given distinctive styling. A classier look has also been achieved by providing its mirrors, door handles, spoiler and bumper in body color. Its alloy wheels come in 15-inch size having six spokes and play a significant part in enhancing the looks of this SUV. The excellence in design and shape has not been restricted only to the front; the rear of the Avanza has also been styled in a stunning manner. The cluster of tail lights have been stacked vertically and include with itself turn indicator, reverse light and brake light. The rear spoiler has also been provided in body color and houses LED brake lights. The tail light being placed in a vertical manner allows its rear hatched to be opened wide. 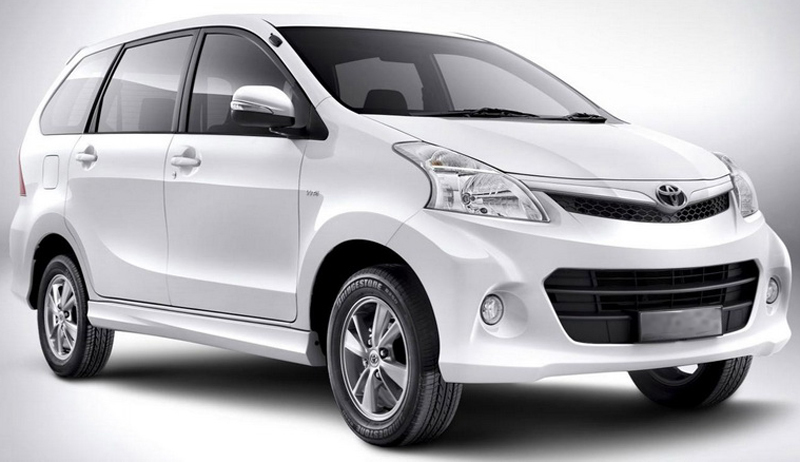 The Japanese car maker has gone for a compact size for the Toyota Avanza. If we take a look at the dimensions of the car, it is found that the car has a length of 4120mm and its width is 1635mm. The car has a standing height of 1695mm with a ground clearance of approximately 180mm. it is expected that the kerb weight of the vehicle will be 1,100kg whereas it is going to have a turning radius of 4.7m. 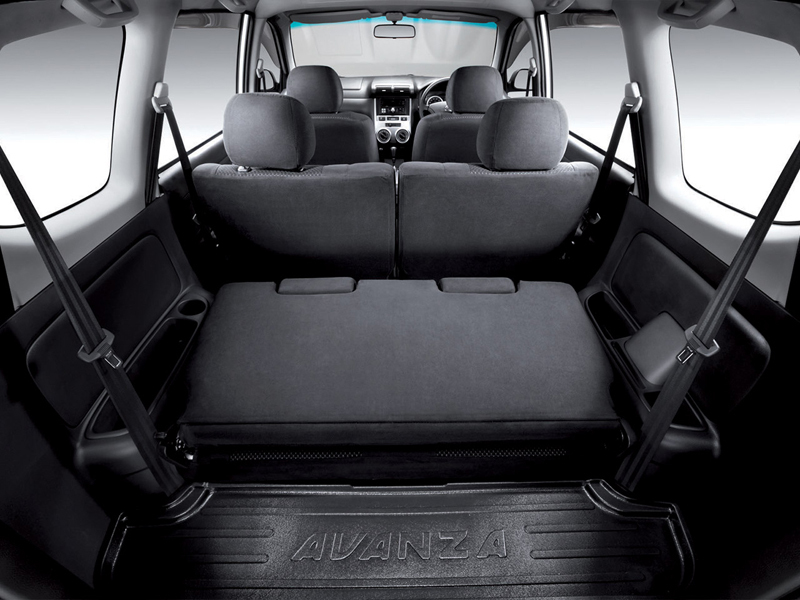 The Toyota Avanza interior boasts of a similar stunning and sporty nature as has been provided to its exterior. It has been provided with a spacious front cabin, which has adjustable seats. Beige color has been chosen for the interior and fabric material used for the seats. It has been provided with a uniquely designed dashboard that has been provided with an instrument panel, storage box, air conditioner vents and the audio system. The vents of the air conditioner have been placed has been placed at both sides as well as the center of the car dashboard. The steering wheel has, however, not been mounted with audio controls. All the seats of the car have been provided with arm rest that can also double up as a bottle holder. The car has been provided with seat belts in all its seats for ensuring the safety of its passengers. An additional feature that is going to be provided to the Toyota Avanza is its rear view mirror that is going to be electronically adjustable. The interior of the Toyota Avanza has been provided with enough space to comfortably seat seven passengers with ample amount of legroom and headroom provided for all the passengers. Comfort related features that have been provided to the car include power windows, rear door locking, and manual adjusting of seats among many other features. 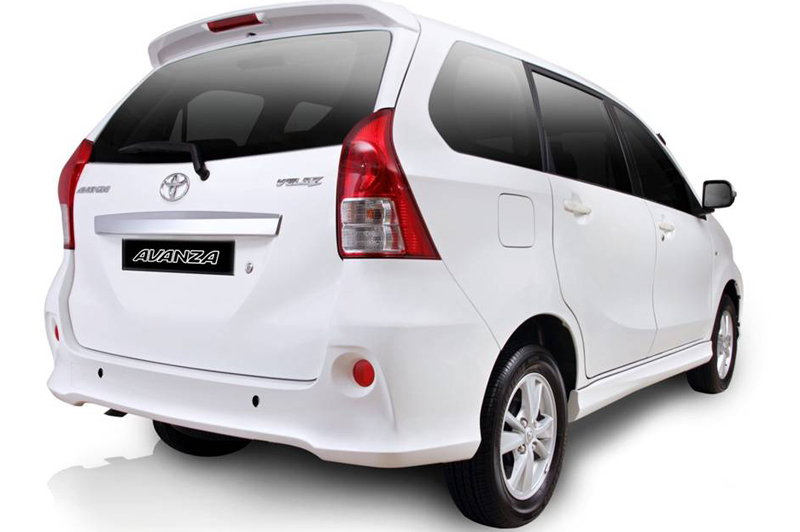 The Avanza has been provided with all the latest safety systems available. Air bags have been provided for both the front passenger and the driver. It has also been given a body design to ensure safety during crashes and the car is also provided with increased stability thanks to its ABS along with EBD. Safety belts have been provided on all passenger seats. The car has also been equipped with a latest anti-theft system also. Though there has been no official declaration as of now, it is expected that the Indian market variant of the Toyota Avanza is going to be priced around Rs.6 Lacs.